A homeowner that wants to embark on their first bathroom renovation adventure is often looking for an online resource to give them some idea about bathroom renovation costs. If you are reading this, I’m sure you have seen many posts that fall short in their claim to calculate these costs for you. You’ve also likely noticed how much these renovation cost numbers vary widely and they often don’t separate the two components, materials and labour. 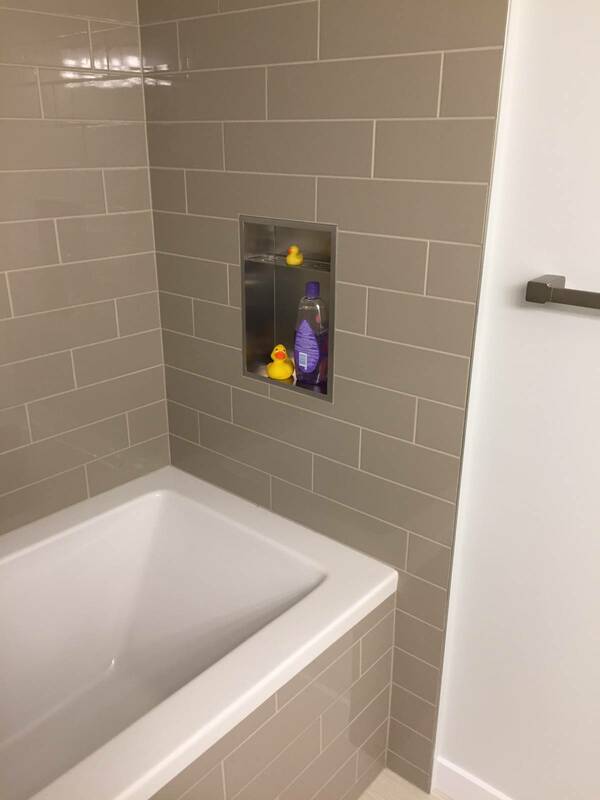 The result is a relatively useless resource for the average homeowner who’s simply trying to figure out what a reasonable budget might be for their next bathroom renovation project. This article was written to enlighten you about one of the most underestimated components in bathroom renovation budgeting; materials costs. 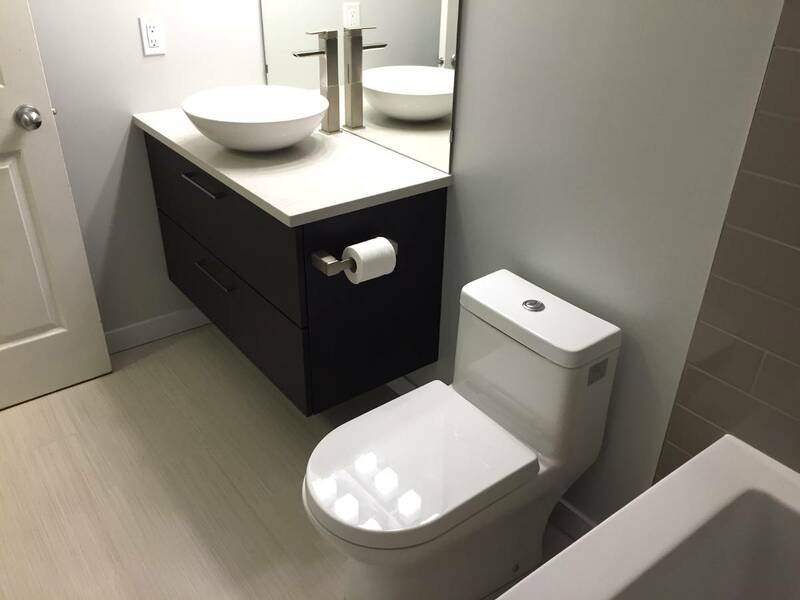 In this example renovation, we will only be addressing the material costs of a fully renovated small, but very typical, 3 piece bathroom in Vancouver. This article only addresses the material costs portion because it is so commonly underestimated in todays hot renovation market. The labour portion is also too often underestimated, but it is also much more complex and beyond the scope of this article. I will say that a homeowner should expect that the labour portion of any bathroom renovation will be approximately the same, or slightly higher than the materials cost. The labour component of bathroom renovation costs will be discussed in a soon to be released article, so stay tuned!. Your bathroom renovation costs will always vary significantly based on the “grade” or finishing standard of your renovation. By grade, I simply mean how costly each of the features and fixture choices will be. A fixture budget can double, or triple depending on these choices. This particular renovation cost example is considered to be in a very common cost range for the large majority of renovation clients in the Vancouver market. The fixtures and finishes also follow a very common modern minimalist style, and the “grade” is considered only slightly premium to what would be considered an “average cost bathroom”. 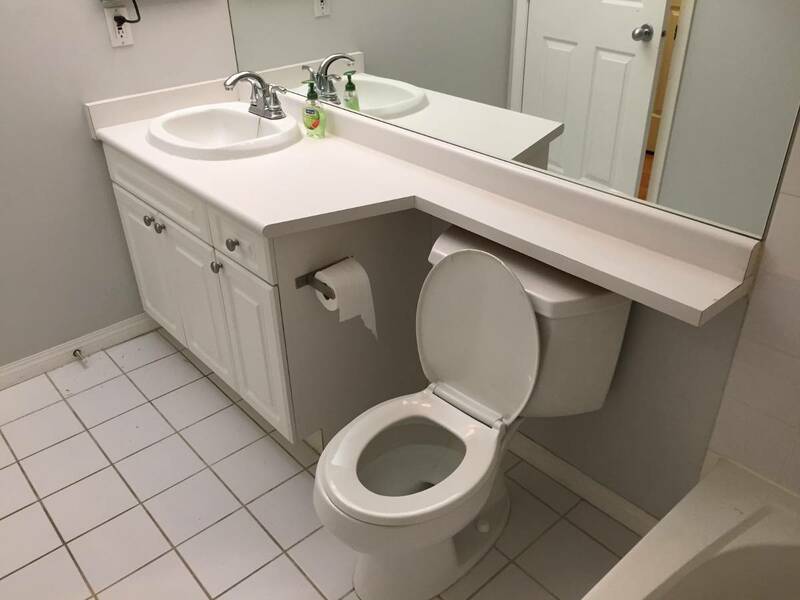 Below is a list of all the materials that went into this particular bathroom renovation as well as the attached images to see how the bathroom looked before, and how all the parts came together in the “after” images. That way you can easily see what “grade” is represented by the associated materials cost. This will allow you to replace items from the list with your own choices and know how they will affect both the aesthetic and the total materials cost. I can’t tell you how many times that I have encountered a naive homeowner truly believing that they should be able to hire a contractor to complete a full bathroom renovation, materials included, for around $8,000 – $ 10,000. In reality, the materials cost alone will often meet or exceed this number, as is demonstrated in the example renovation below. It must also be mentioned that in the example below, all the fixtures, tile and most of the plumbing materials were purchased on a wholesale account with an average discount of around 20%. In other words, the average homeowner would be paying 20% more for many of the higher priced items in the below list. After reviewing the list, you may realize that you may not have considered how expensive material costs have become. 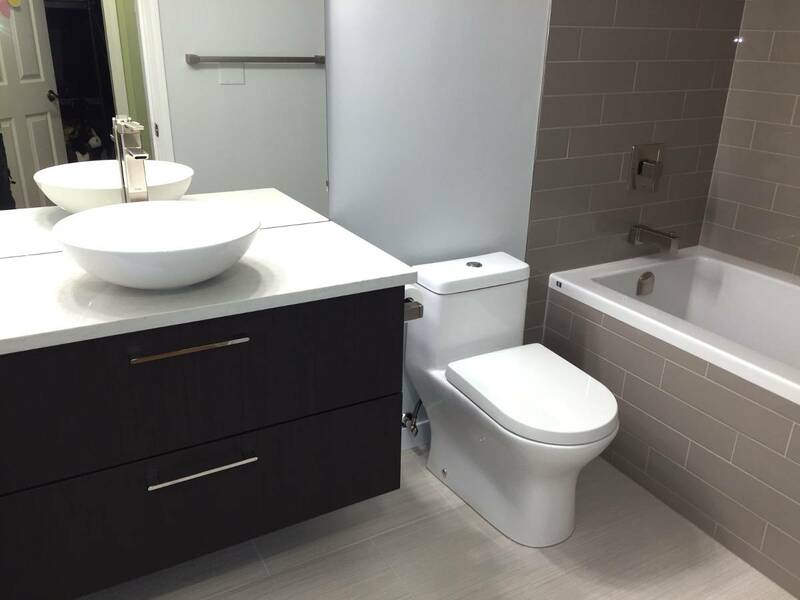 This is a fairly basic but very common bathroom renovation involving the typical 5′ x 8′ (approx) bathroom space that exists in so many homes and condos throughout Vancouver. 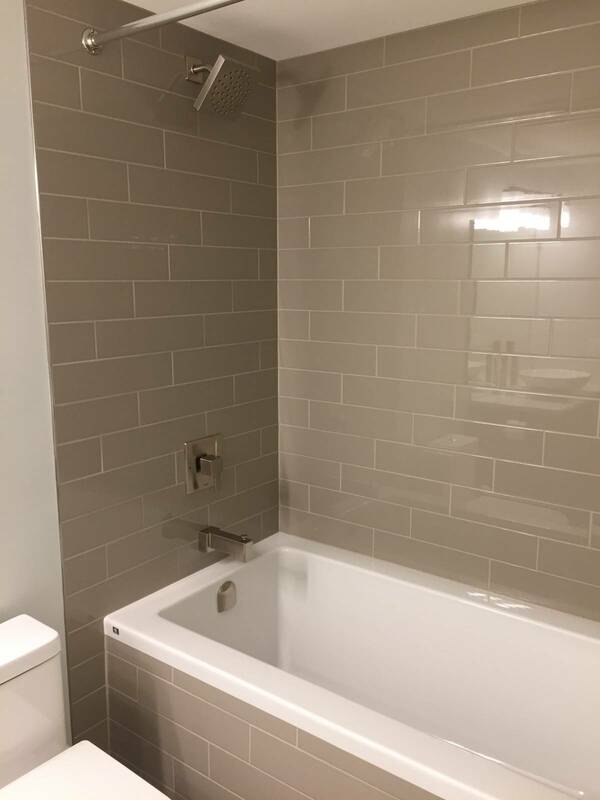 It involves the replacement of a standard 5′ long alcove bathtub and replacement of a vanity cabinet, sink, counter, faucet, vanity light, tile, paint, etc. Basically everything in the room was removed and disposed of including the drywall around the bathtub (which was rotten and moldy). 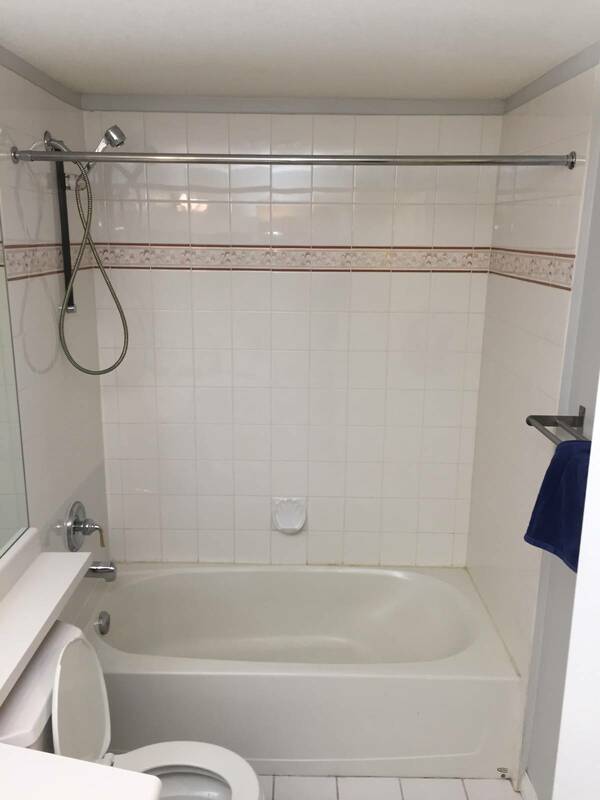 Below are the “Before” and “After” images of this bathroom. Below is a list of virtually all the materials that were used and included in this renovation. There may have been a few insignificant cost items missed such as some drywall tape, screws, etc. The term “used” means that some of the items like disposable vacuum bags were also included in these costs, but did not become a part of the final product. There were a couple of material inclusions that may have been considered “extras”, so I will mention them here if you would like to remove them from consideration. There was a finished stainless steel shower niche installed in the side wall of the shower in this example renovation. There was also spray foam insulation applied to the back wall of the shower. Although it is important to insulate this outside facing wall properly, it would be possible to insulate this wall with cheaper materials, albeit less effectively. I hope this article has enlightened you about the reality of bathroom renovation materials costs and will be a useful tool in your bathroom planning toolbox. Perhaps you have already swapped out some fixtures in the list to come up with your own bathroom materials budget. Don’t let your budget get out of control, and good luck with your project!